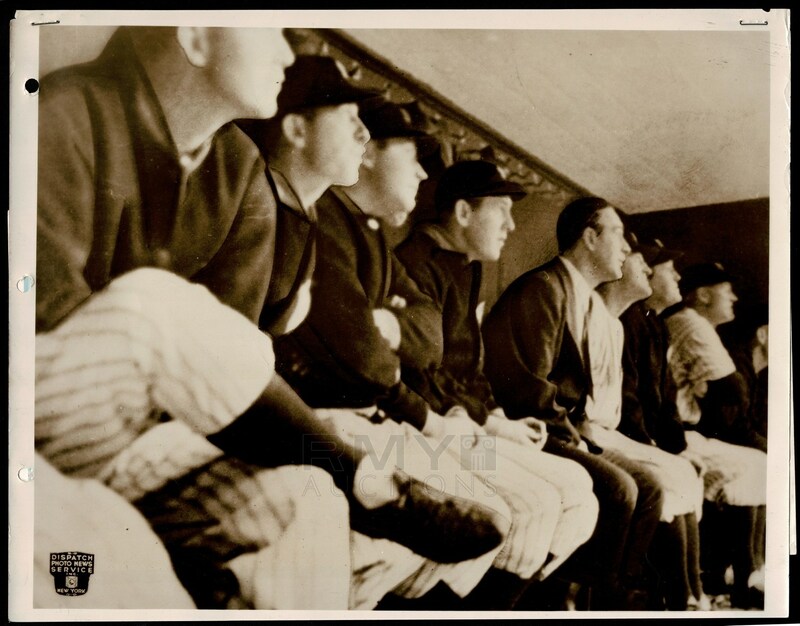 Large 1940 photograph of a sick and dying Lou Gehrig as he appeared in the Yankees dugout incognito to join his friends and former teammates as they faced off against the Athletics. 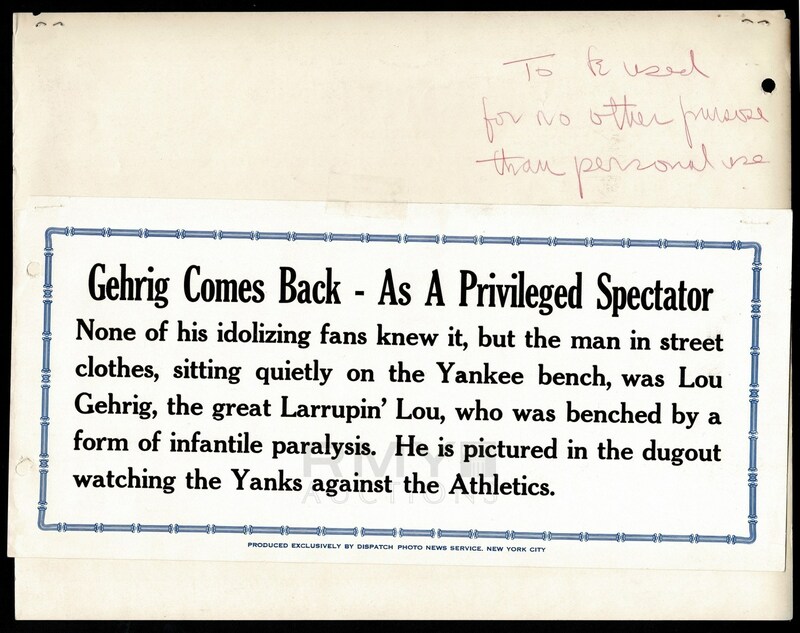 One of the last images of Gehrig in a baseball setting, it was issued by the Dispatch Photo News Service and it comes with a huge paper caption on the back. Photo has some staples and a few punch holes on the side from when it was displayed, this is the only example of this huge photo we have ever seen and one of only a few images known to exist of Gehrig from 1940!